*copies of the books were received for the purpose of review. all opinions are a 100% my own. I think most of us parents can agree that getting our kids to read isn't always an easy task, specially with so many other ways kids can entertain themselves these days. With that said, I will say providing our children with materials our children will enjoy reading is key to the success of their interest in reading. A recent addition to our library is two children chapter book series by Sky Pony Press. I have high reviews from my 8 year old about the two books PROJECT DROID Science No Fair, and Soccer Shocker by Nancy Krulik & Amanda Burwasser, with illustrations by Mike Moran. About Science No Fair: It’s a pretty normal day for Logan Applebaum—until his inventor mother announces that she’s built him a new robot cousin. And Java may be really smart, but he’s also going to be a major handful. No one can know about his secret. This is going to be a long school year. With the third grade science fair coming up, though, Logan thinks maybe a super computer cousin could come in handy and he’ll finally have a shot at beating the nosey Silverspoon twins who win at everything. But when Sherry and Jerry steal Java as their partner, and then start suspecting something is up with the new kid, can Logan think fast before this crazy experiment becomes an epic disaster? About Soccer Shocker: When Mom tells Logan that Java is joining his soccer team, the Purple Wombats, he’s not thrilled. It’s a lot of work teaching his new robot cousin how to act like a human—and keeping him out of trouble—and Logan needs a break. Still, being programmed for success means that Java’s also great at scoring. He might just turn the Wombats into a championship team, beating Sherry and Jerry Silverspoon and their Red Polar Bears . . . if he’d just let the other kids play, too. After being replaced as the Wombats’ MVP, Logan’s had enough. But when Java gets wet and goes on the fritz, can the whole team—even a short-circuiting Java—come together to score the winning goal? The second in a fantastically funny new chapter book series by internationally bestselling author Nancy Krulik and her daughter, Amanda Burwasser, Soccer Shocker is destined to win tons of fans. The PROJECT DROID series follows Logan Applebaum, a normal young boy whose inventor mother informs him that she has created a robot cousin, Java, for him. 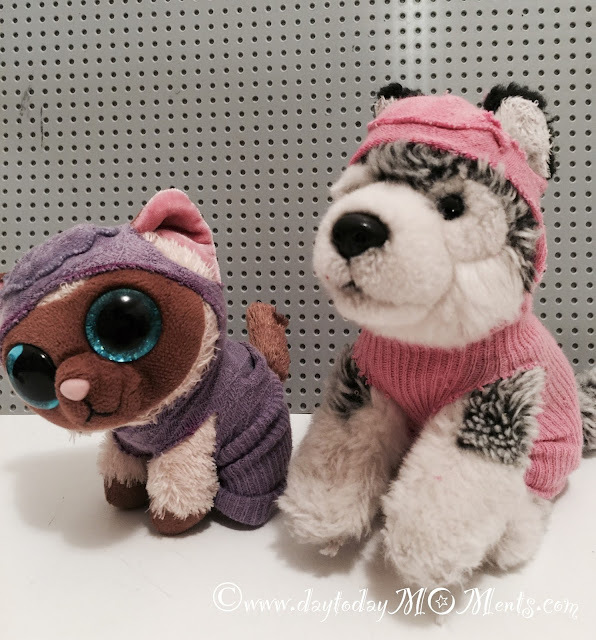 In Science No Fair, Logan and Java compete in the school’s third grade science fair, and in Soccer Shocker, Java joins Logan’s soccer team, the Purple Wombats. 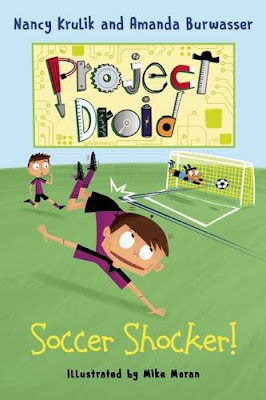 PROJECT DROID is much like Krulik's Katie Kazoo series in that it is funny and entertaining for children to read. 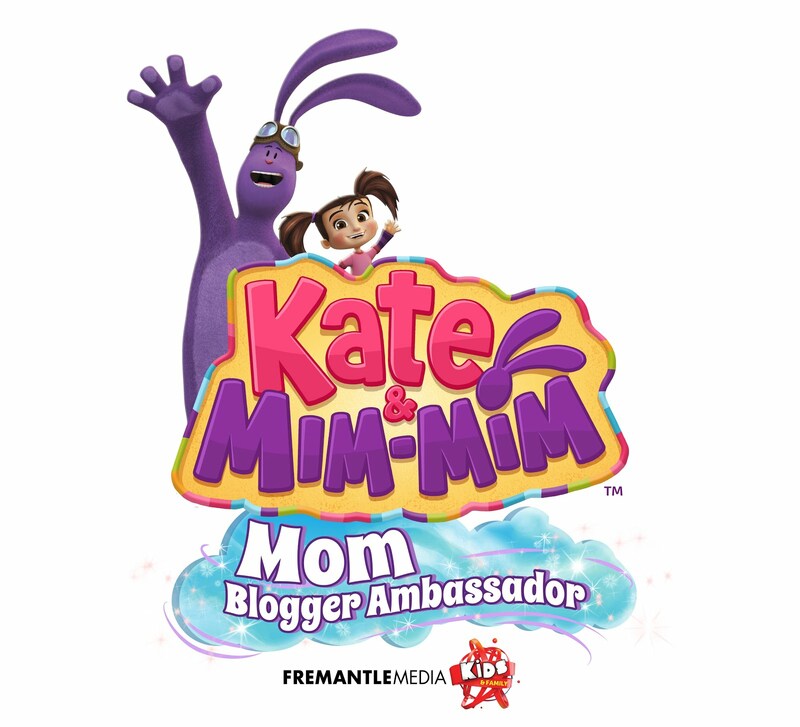 Katie Kazoo series has sold millions and has been licensed worldwide. Kulkrik has teamed up with her talented daughter Amanda Burwasser to bring children this easy and fun to read series. 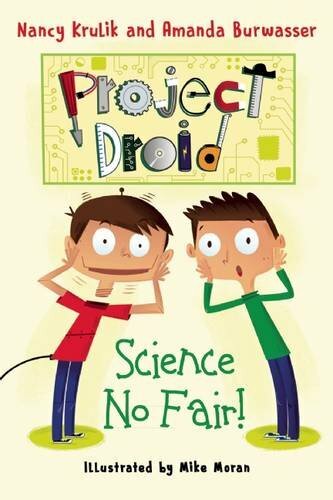 My son and I love to read Amelia Bedelia books together, and if your child enjoys that kind of humor - they will love PROJECT DROID. My son was smiling and flipping through the pages. It is two thumbs up all the way when your child picks up a book to check it out and ends up reading the whole book. My son finished both chapter books in one evening, and that's why I recommend it for your young reader, typically ages 7-9.